Today I am joined by fantasy and thriller author, Drea Damara. 1 What part of the world do you come from? I grew up in rural North Central Illinois on the outskirts of a small town of about 1,400 people. 2 What did you want to be when you grew up? I wanted to be a lot of things, but here are a few of them: fashion designer, book translator, writer, pathologist, a soldier, and a nun. I sew clothing for people, learned a few languages, served in the Army, studied forensics, and am now an author. I sat down last year and realized, “Wow. The little girl did nearly everything she hoped for.” I don’t think I’ll ever make sainthood though! 3 List three words to describe yourself. 4 Who would play you in a film about your life? Hmm, what genre of my life? Well, I’ve always related to Jo March in Little Women, but for an actress, I’d probably have to go with Emma Stone or Kristin Wiig. 5 Do you have any unique talents or hobbies? Sadly, the only thing unique about my talents is that they are all equally mediocre. As far as hobbies, I’m always creating something whether it be clothing, blankets, landscaping, furniture, or remodelling my home on my own. 1 What inspired you to write your first book? My first published book was The Weeping Books Of Blinney Lane. When I was young, I used to dream that if I fell asleep while reading a book that I would wake up inside the story. I made that whimsy the basis of my first publication. I also thought it would be interesting if books could feel just as readers do and wanted to create books that wept actual tears. 2 Give us the title and genre of your latest book and a brief tagline. 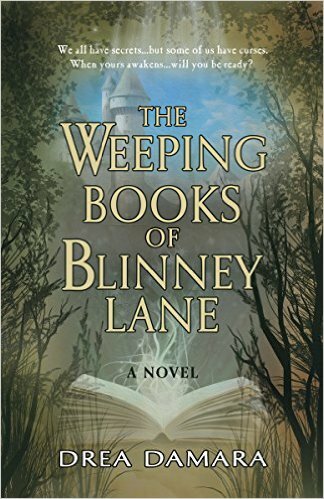 My most recently published novel is The Weeping Books Of Blinney Lane – A woman owns a cursed book store in Salem, MA where some of the books have the power to open other worlds. 3 You are currently working on a spy thriller series. How does writing a thriller differ from fantasy? Reality demands precision. You can’t make up facts or dates. It’s also more of a challenge to fascinate the reader with “the everyday” than with the more fictional realm of a fantasy world. 4 You have been involved in a couple of anthologies. Do you prefer writing full length novels or short fiction? I was honoured to be asked to be a part of A Winter’s Romance and In Creeps The Night – I had never attempted writing short fiction prior to this. It was a challenge not to get lost in expanding the world and stories I created, but a welcome one. I love reading books that take me on an epic journey, so for now I still prefer to write full length novels, but it was a wonderful experience to be a part of these anthologies with such talented authors. 5 What can we expect from you in the future? I’ve always been fascinated with the term Renaissance man. When someone tells me I can’t do something, it makes me want to try all the more at succeeding. My “Renaissance man” goal is to achieve in literature what Mel Brooks did in film – I’d love to publish novels in several genres. I don’t like boxing-in my imagination. Drea’s spy thriller, Chasing Vengeance – A Trinity Missions Novel (Book 1) is due for release in May 2016. 6 How can we contact you or find out more about your books? Information about all of my publications, news, events, and fanfare is on my website and feel free to contact me on Facebook or Twitter. 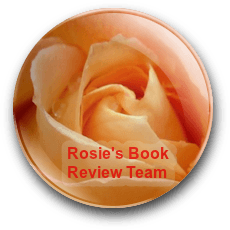 You can also find Drea on WordPress, Goodreads and Amazon. Sarah Allister just wants a normal life running her bookshop and daydreaming about Henry, the handsome deliveryman—in spite of the three-hundred-year curse that rules her existence, along with the other shop owners on Blinney Lane, a niche shopping district in historical Salem. Although unusual phenomenon occurs daily in her shop, contentment seems within reach—until her brother sends his spirited, teenage son, Ricky, to spend the summer with her. Now Sarah must keep Ricky from discovering the curse of Blinney Lane and awakening its full power. Will Ricky heed Sarah’s warnings…or accidentally awaken the weeping books of Blinney Lane, sending Sarah on a journey to a land filled with people she swore to forget? Get ready for a modern fantasy tale that will sweep you away to lands beyond your imagination. Thank you Judith. Nice to meet you. Lovely to meet you Drea. What a great premise for a story! i have got to read this one. 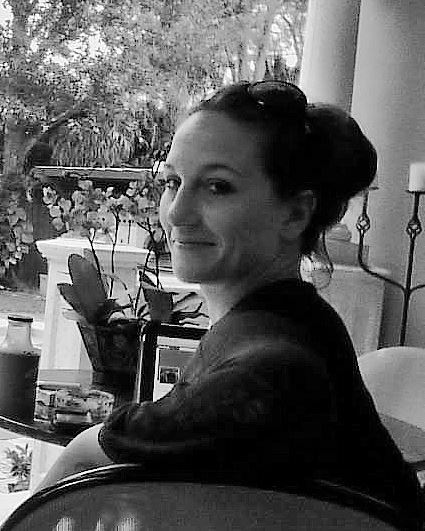 Get to know Drea Damara, author of The Weeping Books of Blinney Lane!